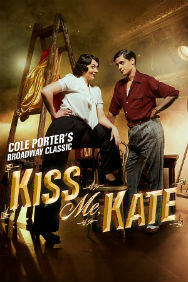 Set both on and off-stage during the production of a musical version of The Taming of the Shrew, Kiss Me, Kate revolves around the tempestuous love lives of actor-manager Fred Graham and his leading lady and ex-wife, Lilli Vanessi. Throw in Fred’s current paramour Lois Lane, her gambler boyfriend Bill – and a couple of gangsters who somehow get caught up in the show – and the stage is set for a funny and farcical battle of the sexes! Bringing together performers from the worlds of both opera and the West End, with the incredible sound of the Orchestra and Chorus of Opera North the magical sound of Broadway and the golden age of MGM musicals springs back to life on the London Coliseum stage.